"We have been building, remodeling, and providing large or small repairs in the central Virginia area for over 30 years. We learned early on that to achieve the best results we hire people of character and teach them the Trade. It is easy to teach people to build but honesty and intelligence is something you either have or not. What this means to you is the people working in your home are trustworthy and can handle your project from start to finish. Our skilled craftsmen are just a phone call or email away from helping you with your residential or commercial building, repairs and remodeling projects." 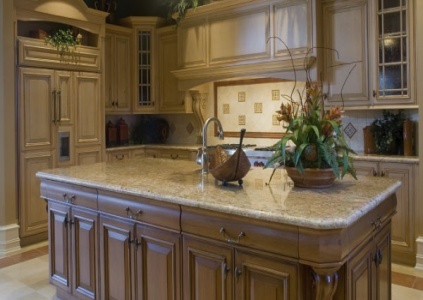 For over three decades we have been building, remodeling and repairing Virginia homes and businesses. Projects ranging in size from simply hanging a picture to building new space for NASA at Langley field. Search our website and discover what the Boddes can do for you. Bodde Construction was founded in 1976 by Frank and Iris Bodde. Scott and Kelly Bodde purchased the business when they retired in 1996. Our families approach to construction was different than most because our goal was and still is to provide long lasting repairs and projects without sacrificing quality. This required us to take a hands on approach to the building business. If the owner of the business and our hand picked employees are completing all phases of your project we discovered that the quality and speed was increased. While some white collar builders have delays with your job scheduling one subcontractor after another we can seamlessly go from one step to the next without delays and miscommunication. Why the slogan "Residential Renaissance Men"? A new client was surprised to see one man laying tile, plastering, painting and installing crown molding in his bathroom remodel in one day. After seeing the quility of the work he said "you are a real renaissance man". So it began as a joke. As time went by we were working for them, his friends and neighbors and the joke continued. It seemed an accurate description of who we are so the joke became our slogan. Our services include but are not limited to the typical projects most contractors are capable of. For example we can build custom entertainment centers, book cases, home offices, etc. in our shop. We have years of experience with commercial construction, new and old homes and everything in between. "We anxiously await the privilege of helping you with your home." Bodde Construction - Copyright 2008 Bodde Construction. All rights reserved.